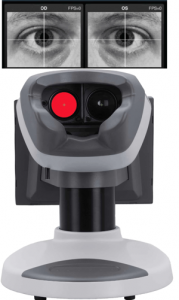 Konan Medical USA, Inc. has announced that its RAPDx® pupillograph for screening of defects in pupil function has received the European CE Mark. The company will begin shipping product to Europe and other countries recognising the CE Mark to coincide with its appearance at the September 2012 European Society of Cataract and Refractive Surgeons (SCRS) meeting in Milan, Italy. The so-called “pupil light reflex” is an objective indicator of specific function from the retina and optic nerve. A normal reflex, comparing left and right eyes is symmetric, however asymmetry (“RAPD” or “Relative Afferent Pupillary Defect”) can be a useful method to detect asymmetric diseases of the retina or optic nerve. RAPDx records a high-definition, biometric waveform of the pupil responses, the “RAPDx Signature™”, which characterises key features of pupil defect responses beyond those seen by human observers of the old Swinging Flashlight Test.